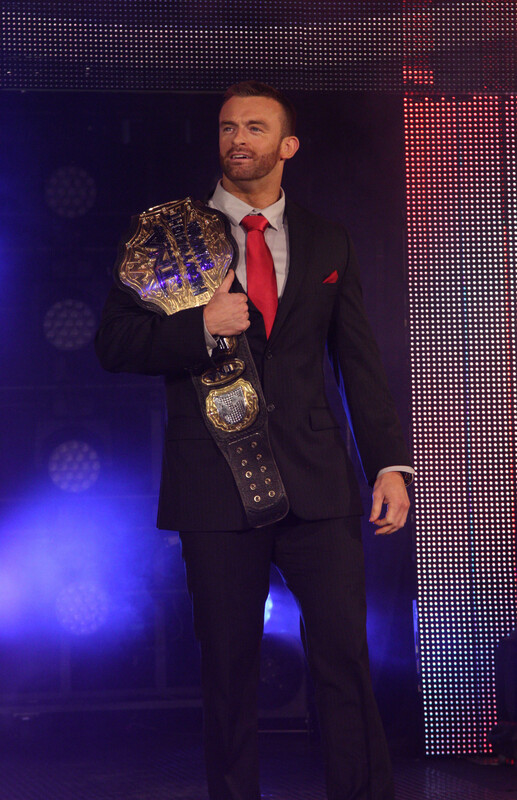 After a hectic end to 2013 following his title win, Magnus will be leading the TNA Impact Wrestling roster round the British Isles at the end of January. He’s convinced that getting the opportunity to fight for the World Heavyweight Title was just as much about the importance of the British market to TNA as it was about him. And now he’s got the belt, he also has the heavy burden – literally and figuratively – of looking after it, which means carrying it around in his hand luggage on every flight he takes. It’s a cold, damp Monday morning in London. More than that, it’s the morning after the night before for TNA Impact Wrestling’s British contingent – they were guests of honour at the now-customary Fan Party at the Garage in Islington, thrown to commemorate Magnus becoming the company’s first ever British World Heavyweight Champion. “It was [a good party]. It meant a lot to me,” says the new champ. He feels that getting his shot at the championship was just as much about the British audience’s loyal support for TNA as it was about his own abilities. “That’s a testament to our generation of wrestlers and fans – we were the fans that made them aware of the fact that we’re a strong market, so when we all became wrestlers they went, ‘These are the guys who have grown up their whole lives watching us. They’re as big a part of this as anyone.’ They understood that my aptitude for wrestling was for the worldwide business, the world’s getting smaller, they just said, ‘You’re the right guy.’ The Brits get to go, ‘He’s OUR guy.’ That’s an important thing, and a great feeling.